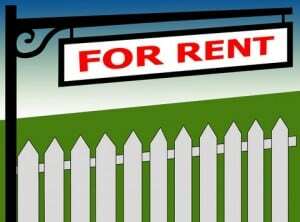 Nearly all tenants will pay rent late at some point during their tenancy. Most remedy the delinquency with a full rent payment and payment of the late fee. At times some tenants do not make the proper payments and begin to generate lots of late fees. These tenants often begin making later and later rent payments, further challenging the patience of the owner or property manager. How to proceed? My first effort is a stern phone call followed up with an email and or letter. Service of a 3-day notice to pay rent or quit possession should not be used as a late fee reminder. This only lessens the effect of the legal notice. Only use the 3-day if you intend on acting on it. If they do not pay rent by the 15th of the month–this is typically their second pay check in the month, then they are not going to pay. You must start the eviction by the middle of the month or sooner. Do not start accepting partial rental payments. This is a band-aid approach that will cost you more down the road as the rent due increases. The delinquent tenant is making the decision to evict for you by not paying. The story du jour does not pay the mortgage for the property. Property managers need to understand that being easy on tenants for delinquent rent makes them easy marks for the property owner to fire. Keep your job, keep your client happy and informed….remove the delinquencies! James Safonov, is a property manager with HomePointe in Sacramento, California. HomePointe provides full service property management, leasing, accounting, and maintenance. Email jsafonov@homepointe.com or call 916.781.7075 x 650. See more Landlord Tips from James Safonov.